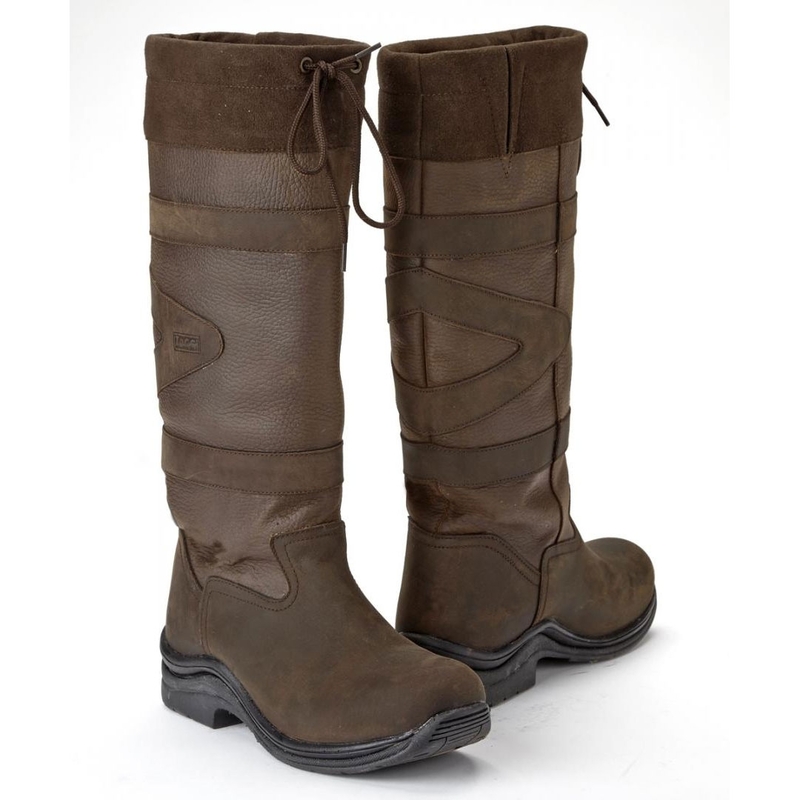 Long milled leather waterproof/breathable boot now available in a wide fit. Varidex waterproof membrane system. Breathable PU cushioned insock for added comfort. Lightweight flexible PU rubber sole unit. Suitable for riding. I always buy a tad bigger Im a 6.5UK so bought the 7 7.5. Great size allows for thick winter socks. The wide leg fit is great too allows for jeans! Love these boots warm and dry. Love them not sure I needed the wide fit tho I am usually a size 6 but find boots come up a bit big so went for the 39 instead of 40 glad I did as fit perfect. Really pleased. This is my mothers second pair for walking the dog. I am delighted with these boots so far but I would definitely recommend measuring your calf checking out their sizing before buying as it is very accurate! I bought a wide pair as I thought they would probably not be as big as they said but they definitely were so I ended up changing them for a standard pair. These are a perfect fit. May not be so for the skinny minnies amongst us though. I've had these boots for 4 months. So uncomfortable. I emailed customer service for some advice re size. I'm a size 5 and was not sure whether to order a 4 or 5 as some reviews said they were big. I was advised to go for the 5. Initially they felt OK but needed wearing in. Every time I wear them I get a sore blister on my heel and wearing a hole in my socks. The inside lining has also torn. They're an expensive mistake.